Tuesday's vote ends a lengthy approval process in which PEC 55 had to pass in each house twice and obtain votes from at least three-fifths of both body's congressmen. 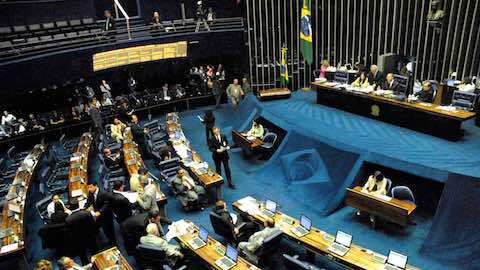 PEC 55 overcame its fourth and final hurdle passing in the Brazilian Senate by a vote of 53 to 16, just four more than was required. But even after its lengthy journey through the Brazilian Congress, PEC 55 (241) remains an extremely divisive measure. Thus PEC 55 will undoubtedly be a source of contentious debate in the years to come. But first, it is important for everyone to understand the exact contents of this important amendment. Below we provide a brief summary of each of the nine articles. The specific articles (art.) are from 101 to 109. Latin America: "Brazil Caps Spending for Two Decades"